A gory tale set in 1931 Paris with the main character Chief Inspector Belmont a man with what can be described as a "colourful" private life and a love of fine art. Belmont and his detectives are trying to track the vicious murderer of Parisian tramps, but the investigation takes an intriguing turn when a dancer at one of the city's low life night clubs seems to be the latest victim of the killer, dubbed "The Paris Ripper" by the city's newspapers.Meanwhile, one of Belmont's men uncovers a plot by an extreme right wing group to incriminate some of the city's Arab population in terrorist activity. Facing opposition from his superiors, - some of whom are members of the right wing group - Belmont has to choose which battles to fight and which to turn away from. In his 2nd novel, Seth Lynch manages to create a wonderful picture of 1930's Paris. But, be warned - about two thirds of the way through the story, the details of the murder of a young female student are very graphic indeed. 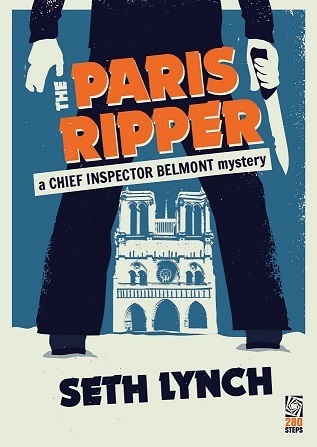 Aside from that, "The Paris Ripper" is a gripping read and left me wanting to know more about Inspector Belmont.